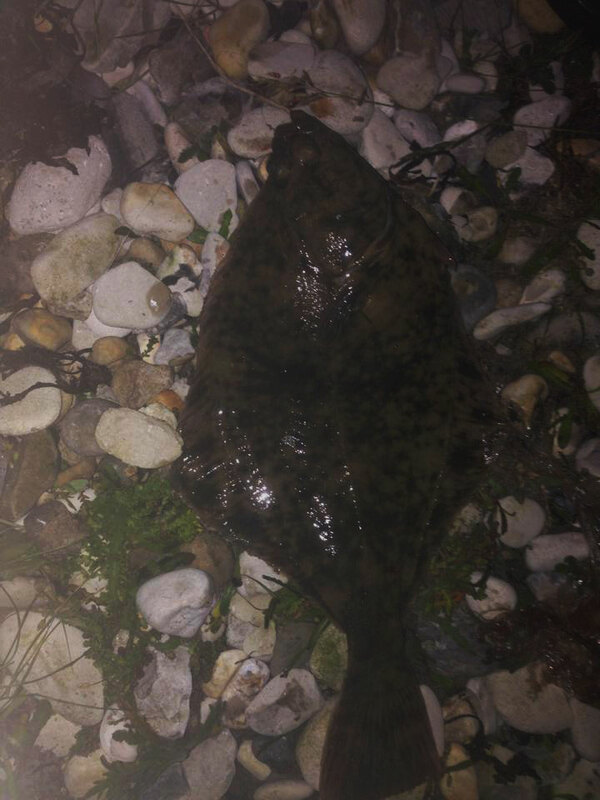 A Flounder that is equal in weight to the current British record was caught this week in Portland harbour. Portland harbour is pretty underrated as a Flounder mark, and wrongly so. It produces good numbers of Flounder throughout the year, however it has never been regarded as a big fish venue. 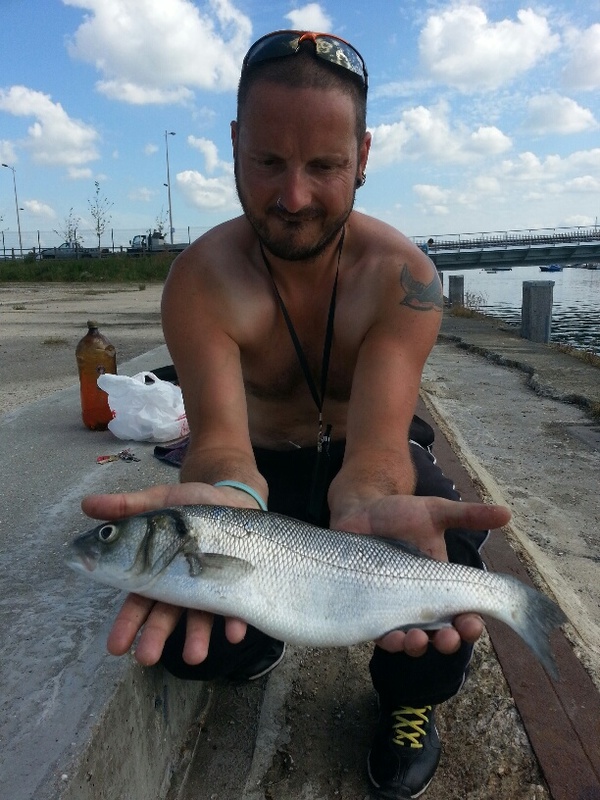 The captor was Paul Evis and it was his first time fishing Portland harbour. 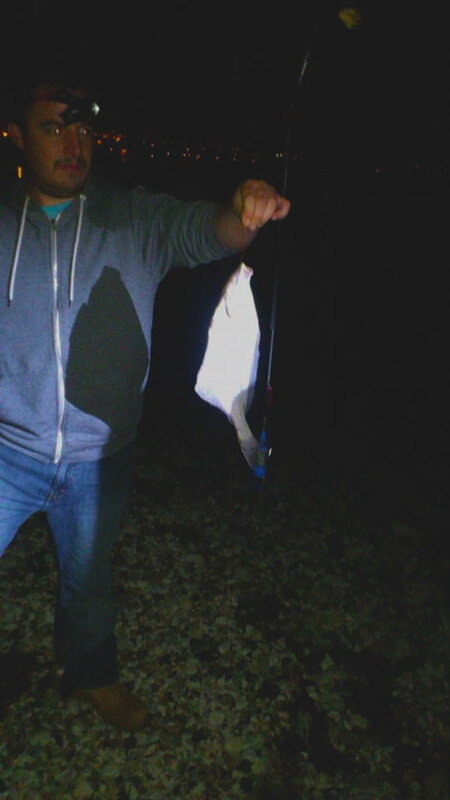 The fishing over the weekend has been pretty patchy on Chesil. Even the anglers fishing the Samalite league at Cogden on Saturday night struggled. One zone was one with just a Pout and a Dogfish. 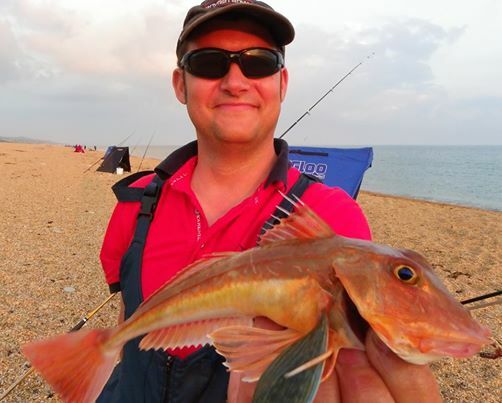 The other zone faired a bit better with some Rays and few Smoothound showing, as well as a few summer species such as the Gurnard pictured below, that Danny Woodcock managed to land, he also managed the smallest Ray I have ever seen. Chesil might not be fishing at its best but the Solet is on fire. 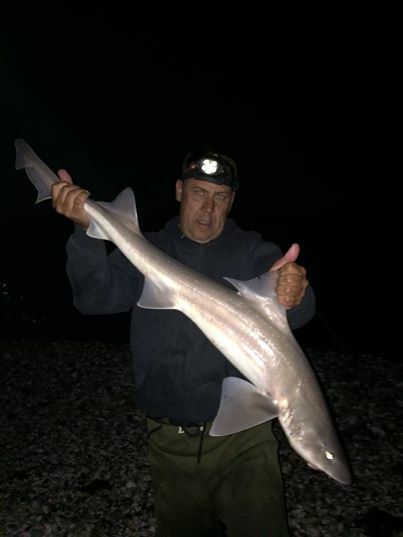 Simon Bristow sent me a picture of a 12lb Smoothound he landed near Portsmouth. It was one of many that he and a mate landed in a manic session, the largest was 16lb. Chesil Beach: calm with almost clear water. Weymouth Bay: Surf running out to 50m with lightly coloured water. Chesil Beach forecast: The summer species are slowly showing up, but the further west you go on Chesil the more problems you will have with Spider Crabs. Mackerel are being caught more frequently now. Codling have made a bit of an appearance at the Ferrybridge area. Nothing of any size, but nice to see them. I would expect to see more Bass and Smoothound in the next couple of weeks. Portland: The Wrasse fishing is fantastic as I would expect now. Other species showing around Portland include Pollock, Garfish and a few Bass. Mullet have been spotted along the ledges at the Bill. Portland Harbour: With larger tides this week, the harbour will once again fill up with Bass and Flounder. They can be caught all along the shore in the harbour, but areas like Sandsfoot can be a bit more productive then others. Weymouth Bay: Some nice Mullet showing in the Harbour. The Thin lipped Mullet are further in the harbour around the angling club and the sluice gates. The piers are producing lots of different species. I had a look down on the Stone Pier yesterday at low water. I spotted thousands of little Sandeels. That will bring in all the predators including Bass, Mackerel, Pollock and Garfish. Lyme Regis: Mackerel and Garfish are being caught on float fished Mackerel strip from the Cobb. This should also produce some Pollock. Switch to Ragworm for Wrasse. 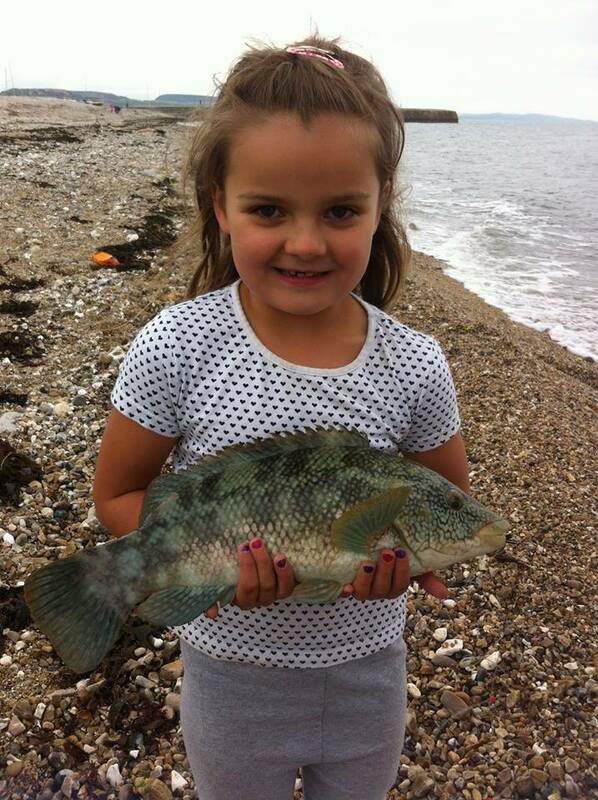 Poole: Leo reports summer fishing has really kicked off in Poole. Good mullet bass and flounder coming from the quayside at twin sails bridge. He has included a few pictures he took. Poole Harbour entrance is on fire at the moment with bass turbot brill and even plaice being caught all on live sand eel. Throw in bream mackrel and smoothhound on rag and crab baits. It’s looking like a good summer ahead.